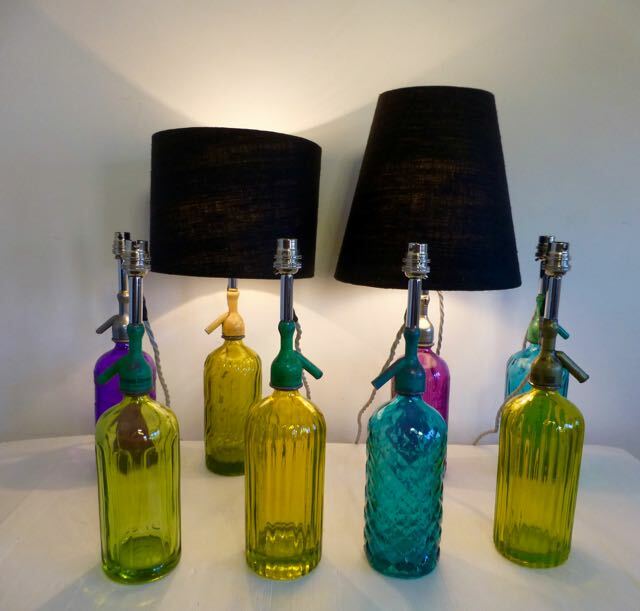 Description: A few different coloured soda bottles that we have re-crafted into table lamps at £275.00 each. Shades are extra. Sold but getting more in.